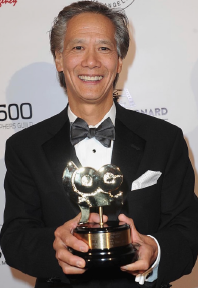 Los Angeles resident P. Scott Sakamoto was honored at the Society of Camera Operators (SOC) on Jan. 26 in Hollywood. 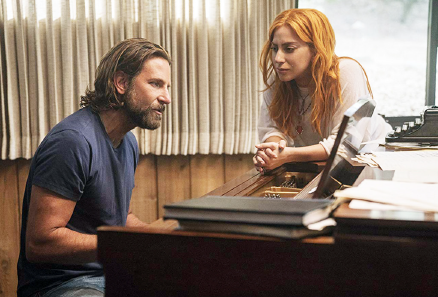 Sakamoto won the Camera Operator of the Year Award for Film for his work on “A Star Is Born,” starring Bradley Cooper and Lady Gaga. The film is also nominated for Best Picture and Best Cinematography at the upcoming Academy Awards. The director of photography, Matthew Libatique, is the nominee for cinematography. This year marks the 40th anniversary of the Society of Camera Operators. Other recipients for the evening included Jane Fonda, who received the Governors Award, and Harrison Ford, who was honored with the President’s Award. Sakamoto has been a member of the SOC for a number of his 35 years in the film industry. He was the operator on “Black Panther,” which is also nominated for Best Picture at the Academy Awards. Sakamoto’s latest completed project, “The Irishman,” should be released later in 2019. The movie was shot in New York, is directed by Martin Scorsese and stars Robert De Niro. Currently Sakamoto is working in Los Angeles on a film titled “Birds of Prey,” starring Margot Robbie. Sakamoto’s mother and sister, Emy Sakamoto and Sandy Sakamoto, also live in the Los Angeles area. His wife, Lori Petitti, was present at the ceremony. The Academy Awards will be televised Feb. 24.